Understanding the Struggle: KITT...I need ya buddy! 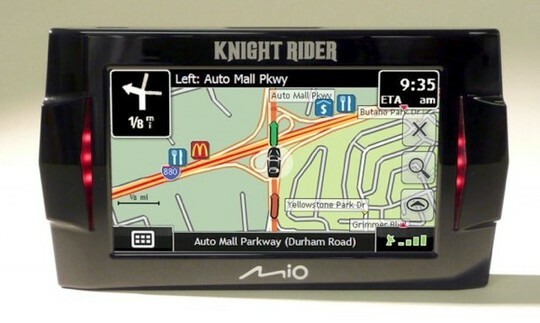 Mio is coming out with a new GPS unit that speaks in KITT's (Knight Rider) voice. Now I must say when I saw this, my first thought was, "THIS IS SO COOL!!!" A turn by turn guide in Kitt's voice!!! Are you kidding me!!! It apparently boots up by saying, "Hello Michael, where would you like to go today?" Anyway, Mio's new product is set to retail for around $270. The "cool" side of me says, "Dude, you can't get that! ", but the Knight Rider fan says, "KITT, I need ya buddy!"